Presidential preference election saw a surge in party affiliation, officials say. Republicans have overtaken independents as Arizona's largest voting bloc for the first time since January 2014, according to data from the Arizona secretary of state. Of the state's 3.4 million voters, 1.19 million are registered Republicans and 1.16 million have not designated a party preference. About 1.02 million voters, or 30 percent, are registered Democrats, while Republicans and independents claim about 34 percent of the state’s voters each. Green Party members and Libertarians make up a little less than 1 percent of the state’s total registered voters. According to a statement from Secretary of State Michele Reagan, many independents chose to register with parties for the closed presidential preference election and didn’t change their affiliation following the vote. 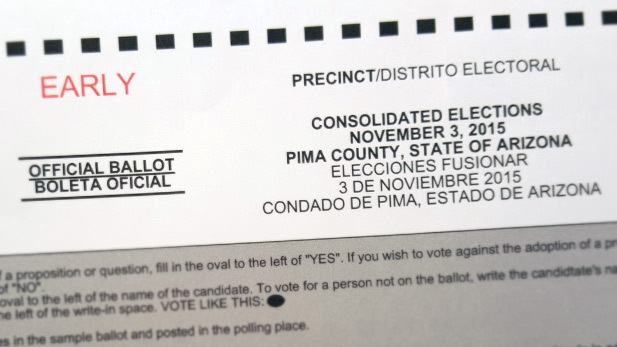 Almost 38 percent of voters in Pima County are registered as Democrats.